Home #3171 dancer dancing gloves Kids turquoise Dancing Queen! 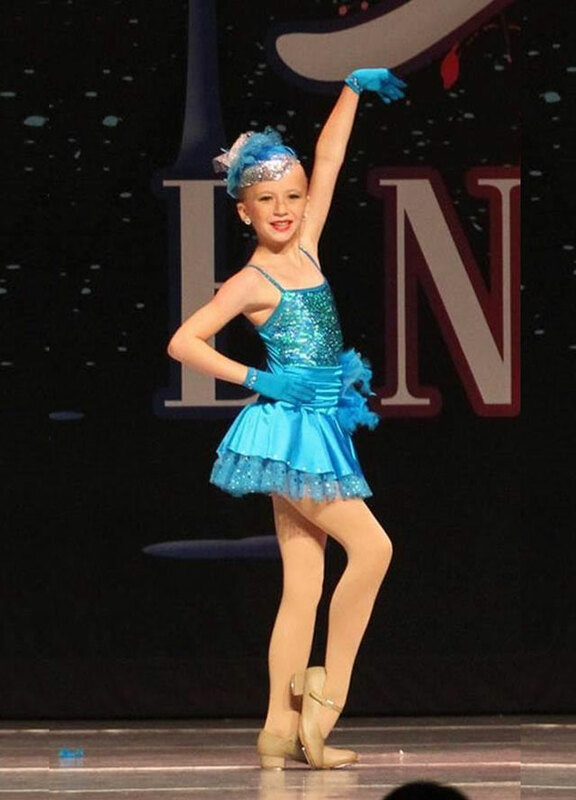 A proud grandma sent us this picture of her granddaughter, a real dancing queen! We are sharing her original message with you. Congratulations girl, you look fantastic. "I ordered ten pairs of gloves from you back in late winter/early spring - the short turquoise ones in some child sizes and some small adult sizes - for my granddaughter’s dance team. We embellished them at the wrist with rhinestones just to give them a little more glitz and were very pleased with the result. The girls just got back from their national competition in Savannah where they won first place and a diamond award in their division! Here is a photo of my granddaughter on stage in her costume – which includes your gloves – which I promised I would send and am just getting around to it. I had some difficulties with this order and your people bent over backwards to see that I was satisfied. I will definitely recommend you in coming years for competition teams at our studio as well as others." You make us very happy every time you Send Us your photos. Thank you so much!